Michael Uy and his dog Abbie Girl are here from Santa Monica. 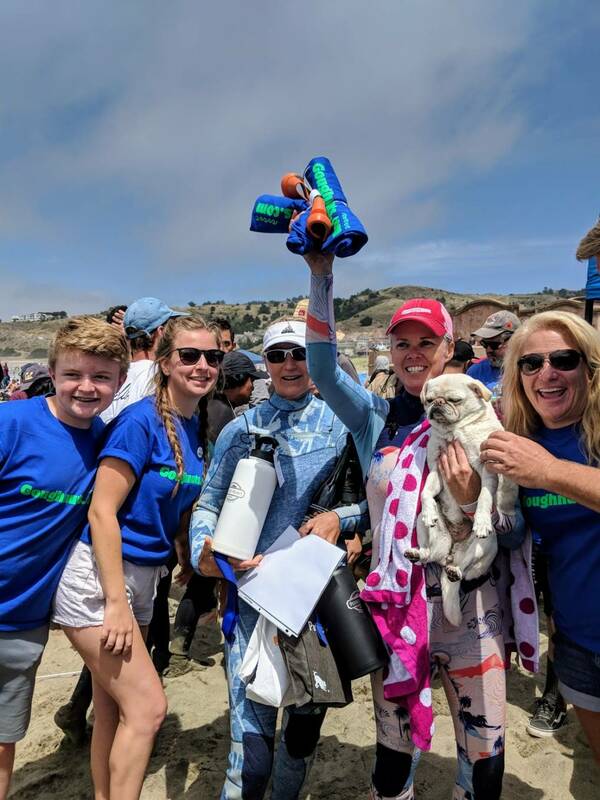 Abbie is the returning champ and also has the Guinness World Record for longest wave surfed by a dog - a total of 107 meters. 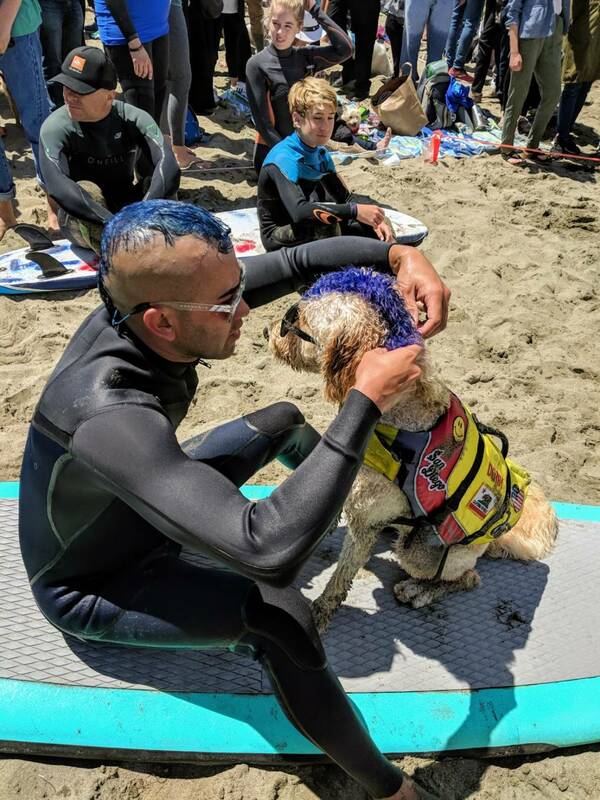 "You can really tell the bond you have with your dog when you go out surfing together." 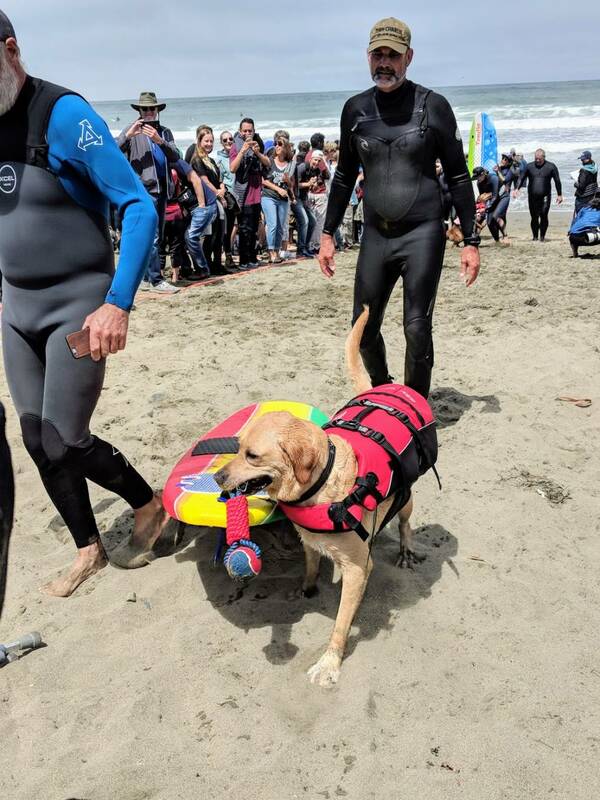 Thousands of people came out to the third annual World Dog Surfing Championships yesterday at Pacifica State Beach. Gidget — a five-year-old pug from San Diego — was crowned the "Top Dog" or winner of the day. Affectionately known as "Fidget Gidget" she's popular for the tricks she does on her board like 360 degree turns and "walking the board." 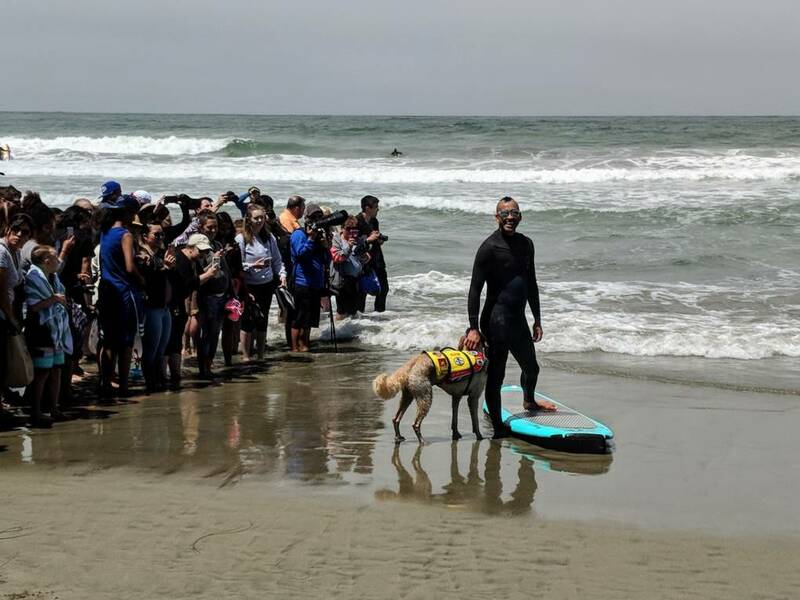 Dogs came ready in wetsuits, sunglasses and some with their own custom surfboards. This year's event had over 40 competitors from all over the state and country. 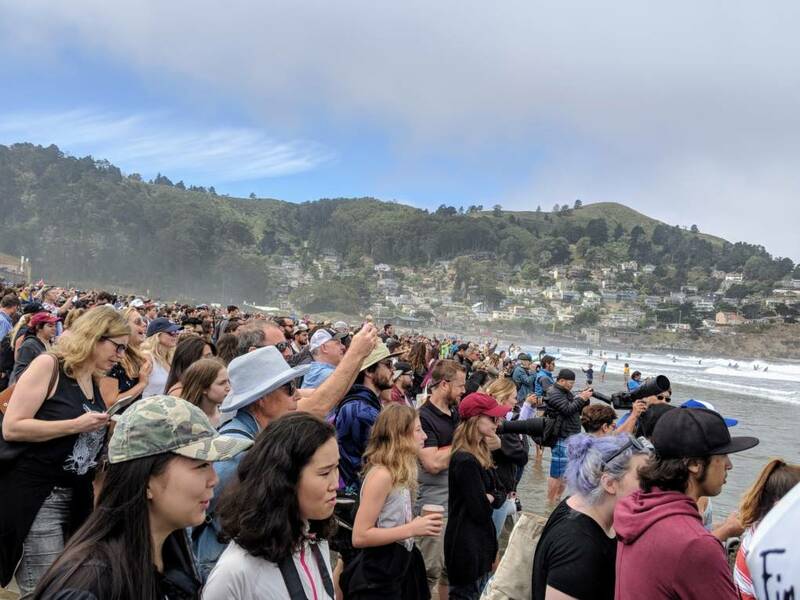 It's one of at least eight dog surfing competitions in the state, according to organizer Andre Crump. "We consider it a sport. These dogs are athletes and the humans who train them are athletes, but a lot of the people who do this just do it for fun," says Crump. 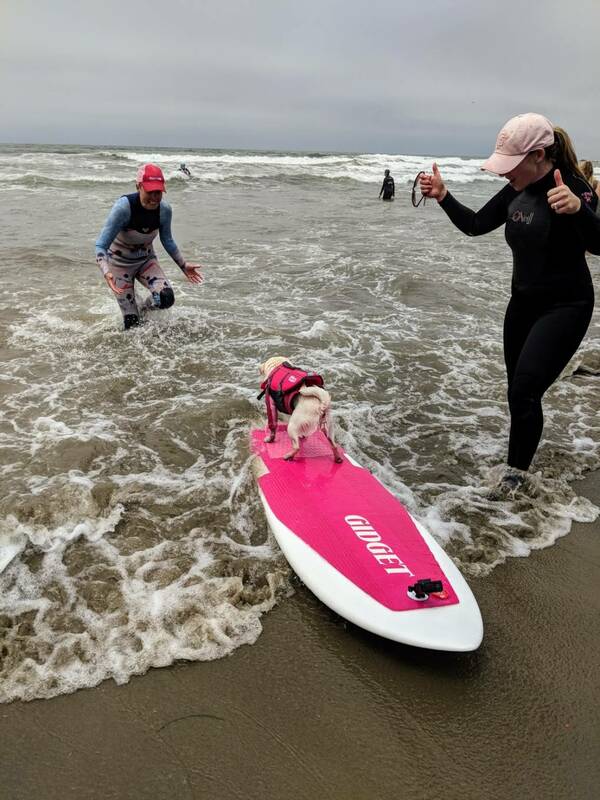 The dogs are judged based on their ability to stay on the board, their confidence and ease on the water, and their surfing tricks. 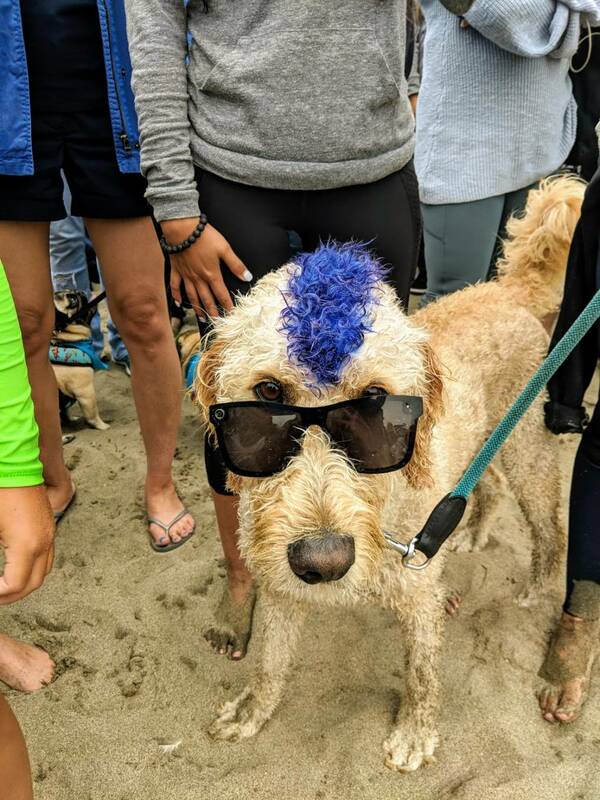 A crowd favorite was Derby the golden doodle with the blue mohawk. 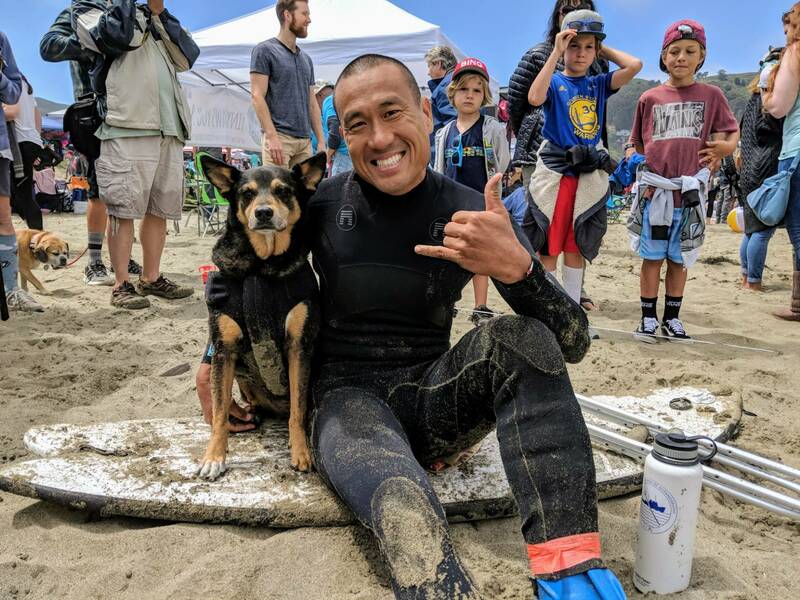 "For the first time he surfed standing backwards which is really awesome and he surfed all the way to the beach," says owner Kentucky Gallahue. There's also tandem dog/dog and dog/human events. 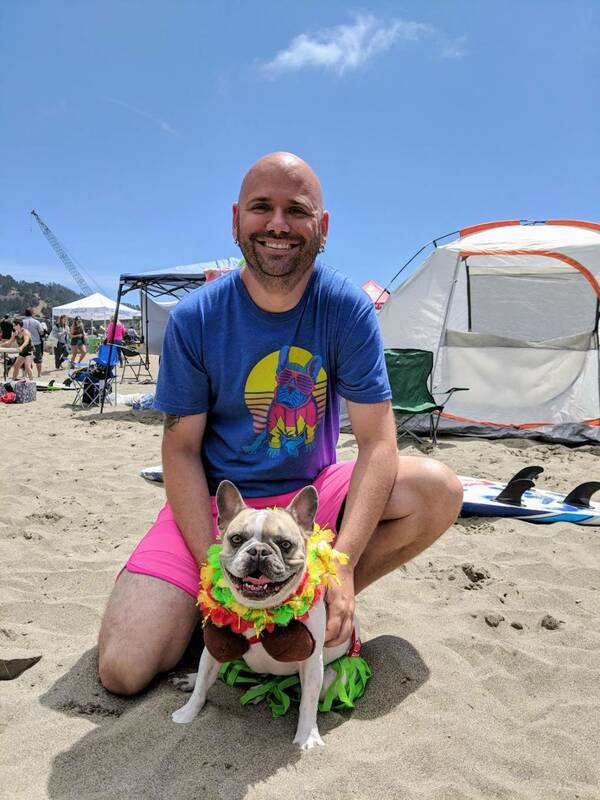 The event raised money for charities including Rocket Dog Rescue and the Peninsula Humane Society. 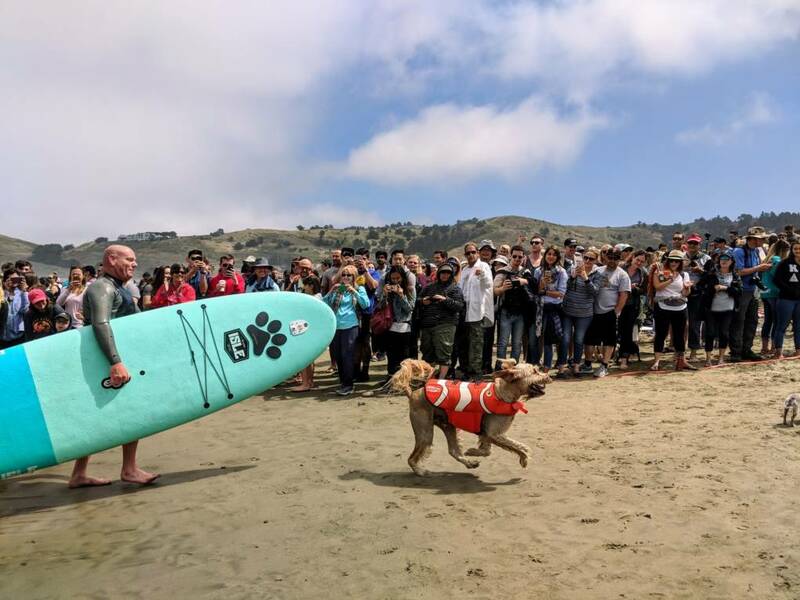 Check out photos of these surf dogs and their humans below.